The VS1 monitor is a portable vital signs monitor. It can be used to non-invasively and automatically measure systolic, mean and diastolic blood pressures, pulse rate, oxygen saturation (SpO2), and temperature. You can measure all of these vital signs if you purchased a fully configured model; other models contain a subset of these features. The VS1 monitor is intended to monitor a single patient’s vital signs in a hospital, outpatient surgery, practitioner facilities, or in an environment where patient care is provided by qualified healthcare personnel who will determine when use of the device is indicated, based upon their professional assessment of the patient’s medical condition. The patient populations are adult, pediatric, and neonatal. The device is intended for use by qualified healthcare personnel trained in its use. 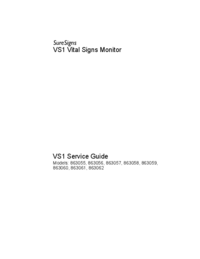 This manual contains information on servicing the VS1 vital signs monitor. 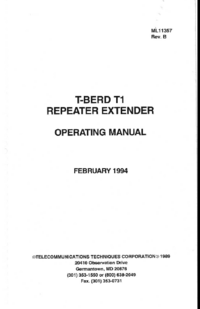 Only qualified service personnel should repair and maintain this product. 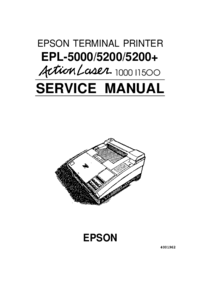 Before servicing the monitor, carefully read the VS1 Instructions for Use for a thorough understanding of operation.